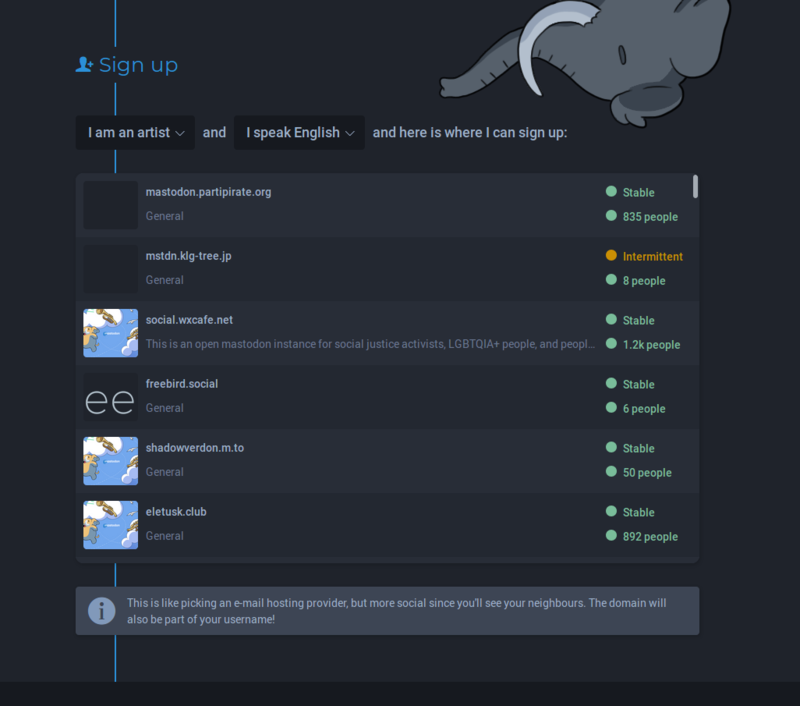 Idea for joinmastodon.org (those are dropdowns). I thought about the instances.social wizard and tooter.today a lot. And I couldn&apos;t come up with any options better than interest and language. I don&apos;t think new people know what size of community they prefer, nor do they want to choose things like "untagged NSFW"
Actually getting the categorization data from somewhere is gonna be a challenge. @Gargron /api/v1/instance/languages or /api/v1/instance/topics are planned? @kasaikumin But in both cases waiting until a new release is out and installed on most servers AND the server admins took the time to enter those details, that would take forever.